With Easter still very much in my mind the thought of lambs in the fields seems somehow appropriate. While were we up on Penistone Hill on Easter Sunday morning we saw a field full of sheep and as we approached they came running towards us, I guess because they thought we had breakfast. When John the Baptist saw Jesus coming towards him he said something very strange. John 1:29 (NIV) The next day John saw Jesus coming toward him and said, “Look, the Lamb of God, who takes away the sin of the world! 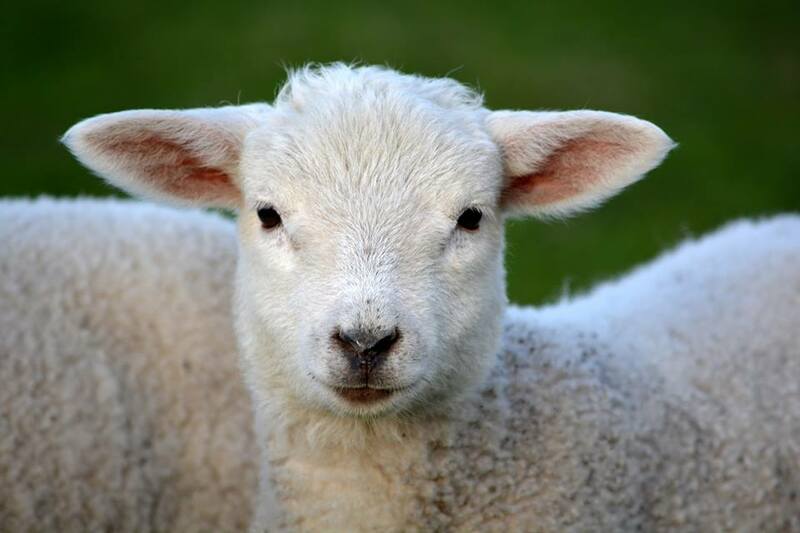 Theologians have argued for a long time about what the phrase “the Lamb of God” means and we’re not too interested in those arguments but two things struck me as those lambs were running towards me the other morning. Firstly there is something harmless and innocent about a lamb that makes it seem vulnerable. What a strange way to describe the promised King of the world: a lamb, and yet his vulnerability in becoming one of us is compelling. He became human, he became weak, he became small; like us.